They give a quaint, cosy feel, as well as adding an extra layer of security for your property. 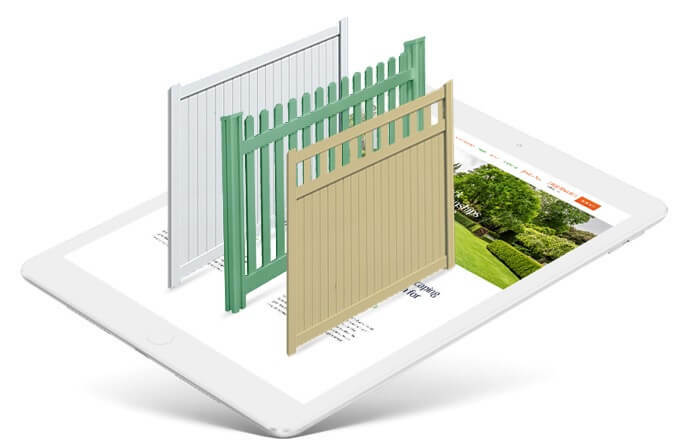 You may be considering a garden fence for aesthetic reasons or for practical ones - perhaps you'd like to exclude your nosy neighbours, or keep a pesky pet in the garden. Regardless of why you're looking to install fencing, our team of brilliant gardeners are available to help. They have designed and built everything from simple gates and low level fences in front gardens, to high, sturdy fences in back gardens designed to keep pets and children in, and people out. To find out more about what we offer contact us today. At Handy Gardeners we are fortunate to have experts in every element of landscaping, including fencing design and fence installation. Some other garden design firms in London claim to be able to put up fencing, but don't have the appropriate skills; this is not the case when you come to us. We have a dedicated team of fencing experts who will ensure your new garden fence is top quality, and highly secure. 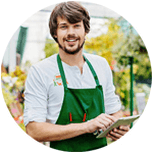 Our team are committed to making your life easy; that is why when you hire our London gardeners, you will be fully supported from the moment you get in touch. Our team will explain everything to you, ensure you have the opportunity to ask questions and make suggestions, and complete involvement in decisions on your fencing. It couldn't be easier to hire our expert London fencing service. All you need to do to start is call us on 020 3744 0111 and let us know you're thinking of having some fencing done. We'll then run through a few simple questions, arrange a time to visit you to find out more, and provide you with your free estimate. After all that's done, when you decide you want to move forward, just get in touch again and let us know. We'll give you a start date, discuss our plans, and get started.